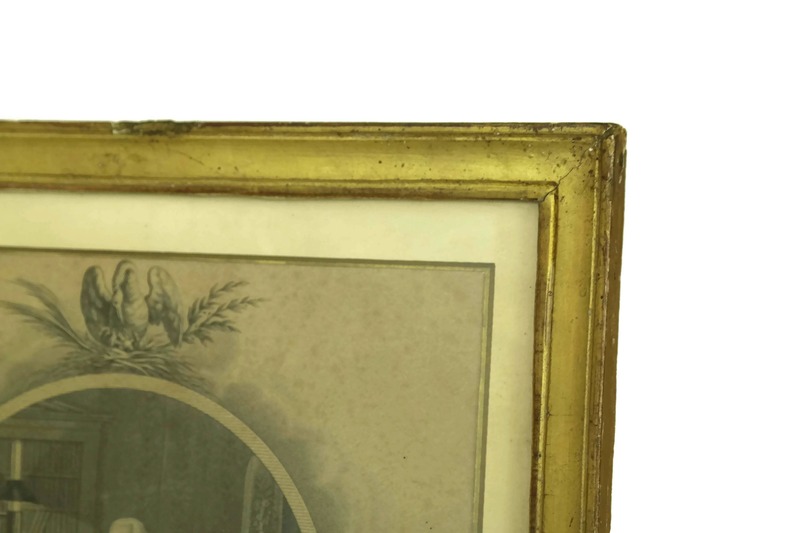 Louis XVIII Portrait Engraving in Gold Leaf Frame. 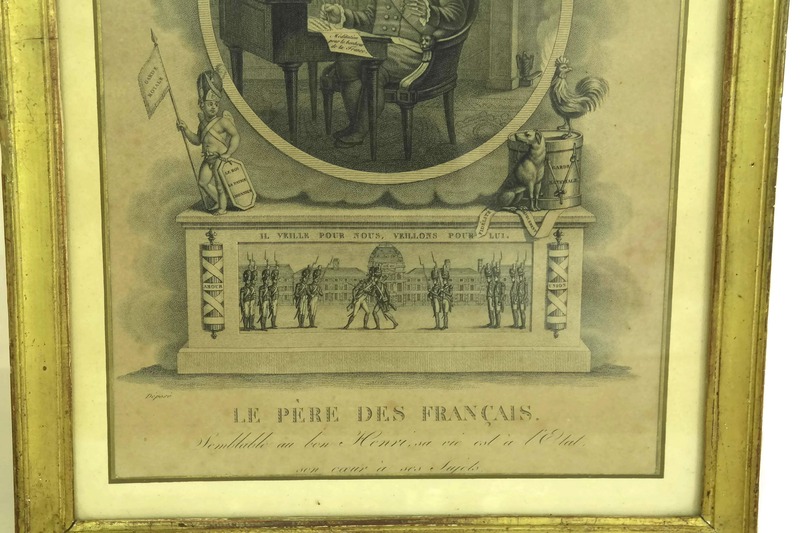 Antique French King Art Print. 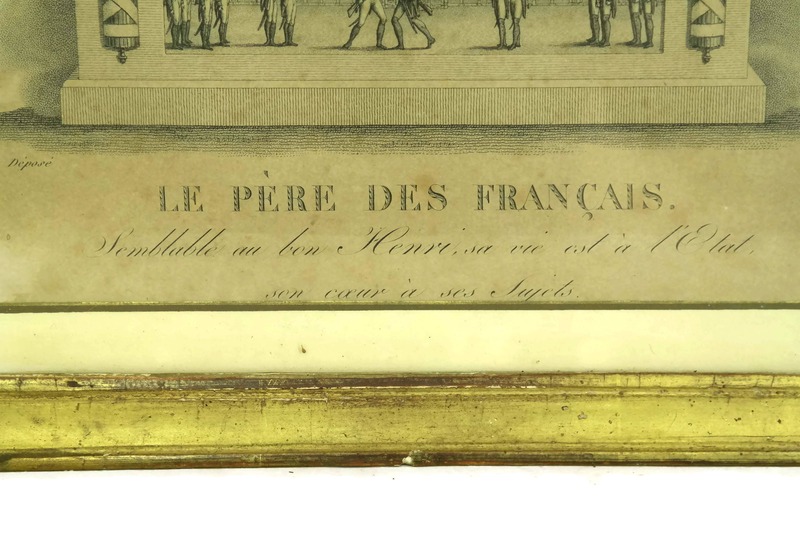 Le Pere des Francais. 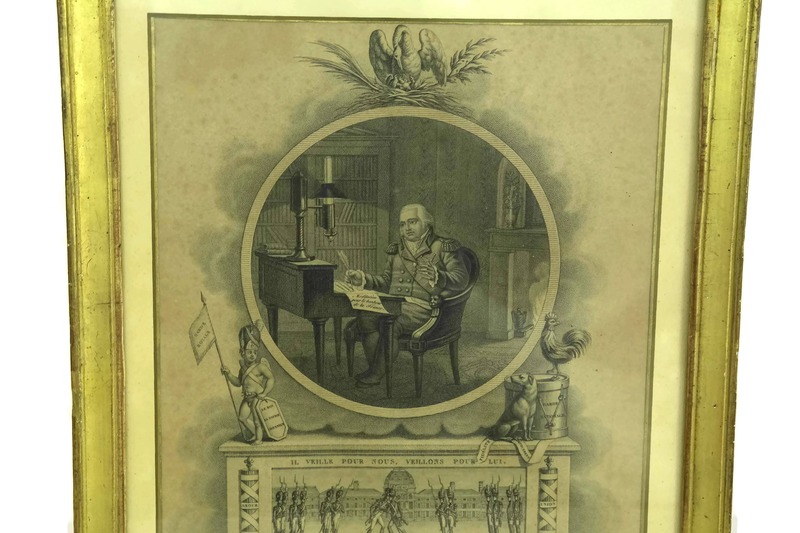 Historical Wall Decor. 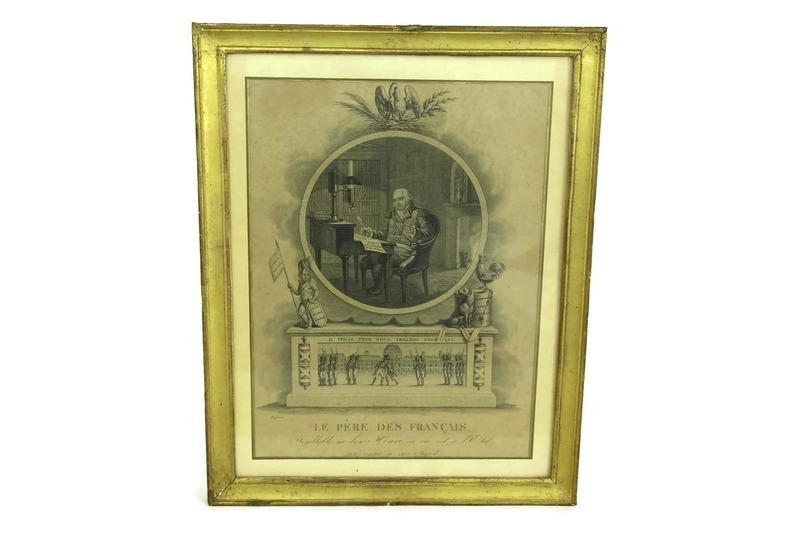 A rare antique French engraving of King Louis XVIII dating to the early 1800s. 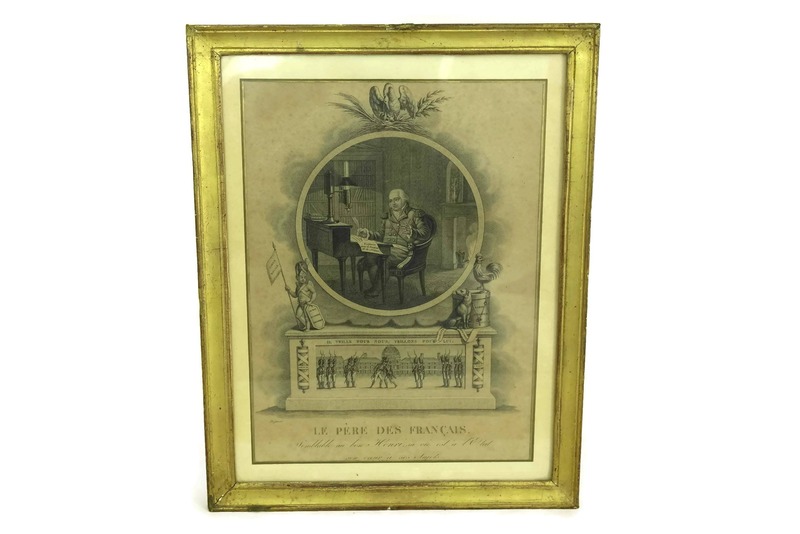 The original art print features a portrait of the King at his desk and has been captioned "Le Pere Des Francais" (The father of the French). 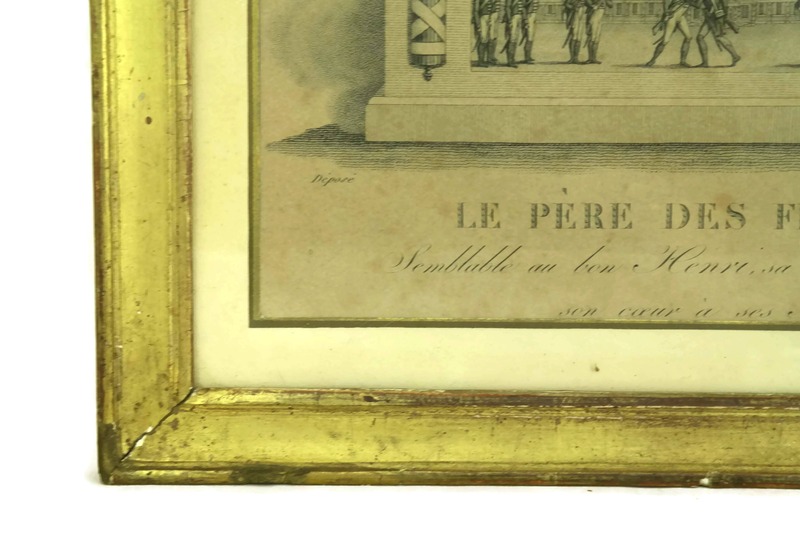 It has been framed under glass in a gold leaf wooden frame. Louis XVIII (Louis Stanislas Xavier) was born 17 November 1755 and died 16 September 1824. 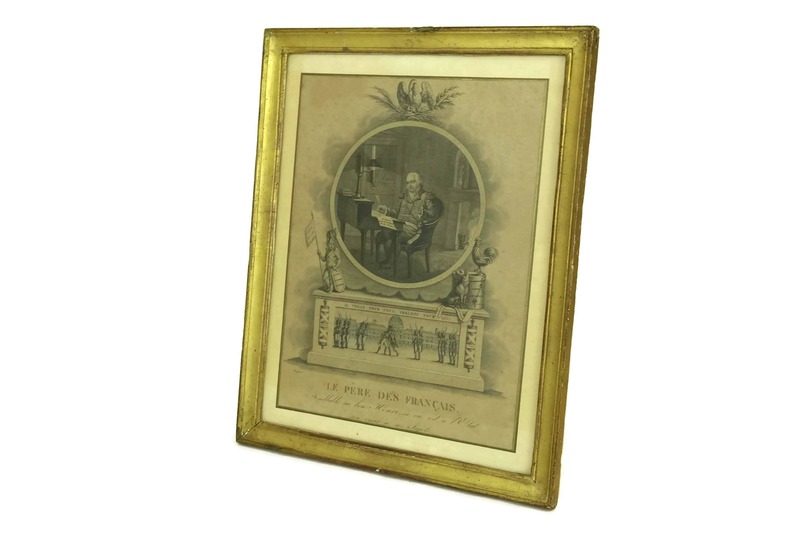 He was the brother of King Louis XVI and ruled as the King of France from 1814 to 1824. 15" Tall x 11 1/2" Wide (38 cm x 29 cm). 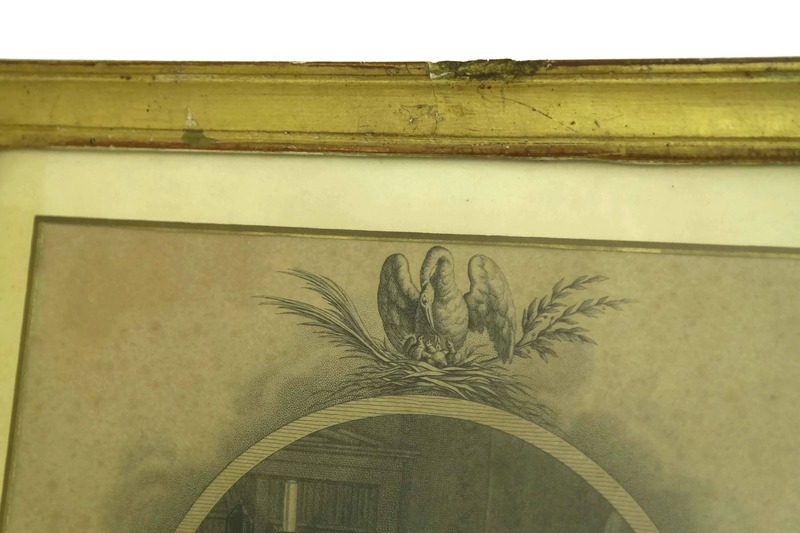 The antique engraving is in very good condition with some signs of age including foxing marks and discolouration to the paper. 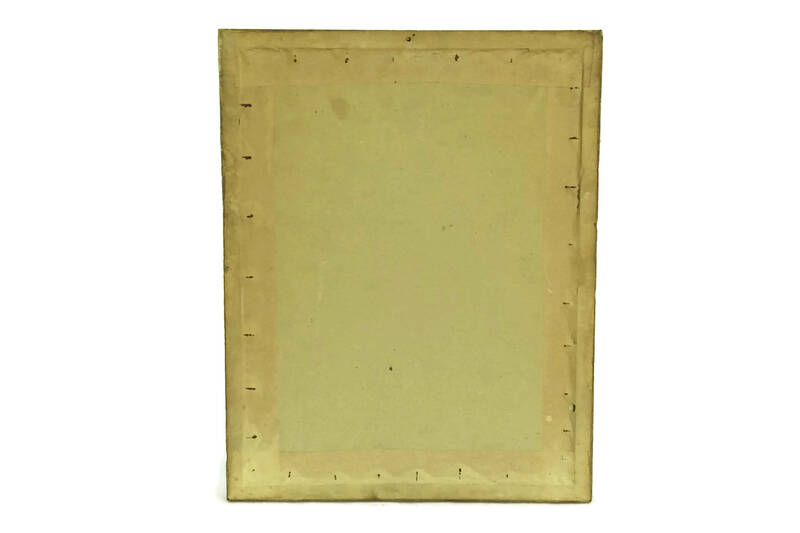 The frame is worn in places.